Areas of Specialty: Dr. Morgan is a board certified anesthesiologist with additional expertise in pharmacology, genetics and developmental biology. 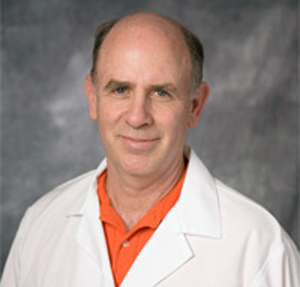 Research Interests: Dr. Morgan’s research interests include: the effects of genetic changes and anesthetics on mitochondrial function, the mechanism of action of volatile anesthetics, and the genetic basis of anesthetic sensitivity. Most recently, Dr. Morgan used the genetic model, nematode C. elegans, to determine the correlation between mitochondrial defects and volatile anesthetics. His research has awarded him multiple research grants from the National Institutes of Health (NIH), resulting in numerous peer-reviewed publications, abstracts, and invited lectures. Dr. Morgan’s demonstrated expertise provides a great depth of knowledge to the SmartTots Scientific Advisory Board. Steele LM, Morgan PG, Sedensky MM. Alternatives to mammalian pain models 1: use of C. elegans for the study of volatile anesthetics. Methods Mol Biol 2010;617:1-17. Falk MJ, Rosenjack JR, Polyak E, Suthammarak W, Chen Z, Morgan PG, Sedensky MM. Subcomplex lambda specifically controls integrated mitochondrial functions in Caenorhabditis elegans. PLoS One 2009;4(8):e6607. YY, Gangoiti JA, Sedensky MM, Morgan PG. The effect of different ubiquinones on lifespan in Caenorhabditis elegans. Mech Ageing Dev 2009;130:370-6. Suthammarak W, Yang, YY, Morgan PG, Sedensky MM. Complex I function is defective in Complex IV-deficient Caenorhabditis elegans. J Biol Chem 2009;284:6425-35. Sedensky MM, Morgan PG. Genetics and the Evolution of the Anesthetic Response. Anesth Analg 2008;107:855-858. Falk MJ, Zhang Z, Rosenjack JR, Nissim I, Daikhin E, Nissim I, Sedensky MM, Yudkoff M, Morgan PG. Metabolic pathway profiling of mitochondrial respiratory chain mutants in C. elegans. Molec Genet Metab 2008;93(4):388-97.